Ok ok I know this is late. It's Sunday in Australia.... but it still Saturday in the US so I think I haven't quite missed #showcasesaturday. In my defense I was out enjoying myself yesterday all day so I had no time in my craft studio. I did however have my creative energy satisfied by visiting the Toulouse-Lautrec exhibit at the national gallery. Now that's some serious creative inspiration!!! Anyway as I've had a full weekend I'm keeping it simple this Sunday. As Valentine's Day is coming up in a few weeks I thought I'd better start thinking about it. 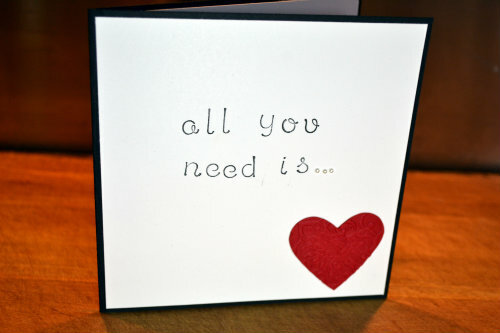 All that kept coming to me was the Beetles song 'All you need is love', so taking that as my inspiration here is what I came up with. 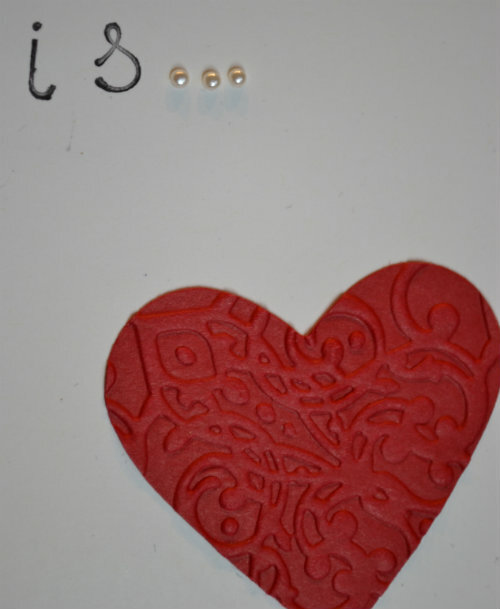 I'm not completely satisfied with it, but I do like the punched heart which I embossed. I think it's the individual letters I stamped the words out with. They aren't perfectly straight and aligned. Never mind. You can't have an awesome crafting day every day. I'll probably dream about this one overnight and come up with a fix. I'll keep you posted.